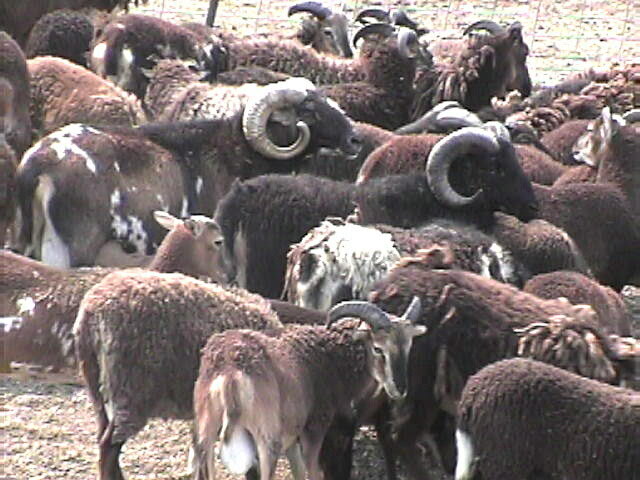 The Vikings brought Soay Sheep to England during their invasions of England. They were deposited on several islands around England and Scotland as a food source for raiding crews and survived on Soay Island and Saint Kilda Island off of Scotland. The sheep survived in their primitive form on these two islands and are currently listed on the rare breed trust in England. They are believed to be the foundation of all British breeds. There are very few in the United States and what there are go back to an importation by Al Ohming, founder of the Alberta game farm, and well known TV personality in Canada. This importation occurred in the mid 1950's. These sheep lamb normally in January and February, twins are common. They double breed occasionally.